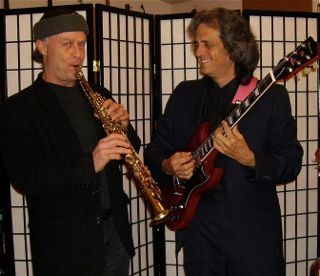 David Brown and Jack Braet have played together as a duo for over a decade, first in The Big Easy Jazz Band playing jazz and dixieland standards and currently in David Brown & The Krewe of Sound an avant-garde jazz-rock fusion band playing originals, funk, rock and fun. Braet and Brown Duo play a variety of music including jazz, classical, swing and rock with a nice blending of saxophones, guitars and wind synth - perfect for weddings, parties and special occasions. Click and Listen to "Take Five"
Click and Listen to "As time goes by"
Click and Listen to "Beethoven Excerpt"
Click and Listen to "Way Down Yonder"
Click and Listen to "Air on the G String"
-David is a New Orleans native, has a Masters in Music from University of New Orleans, and in 1991 moved to Fort Bragg, CA where he began playing with many local bands here including Safe Sax, Pura Vida, Mambo This and led the traditional New Orleans Jazz and Hot Swing Band, The Big Easy Jazz Band. For the last several years David has performed with the Krewe of Sound, his own group playing jazz-rock fusion and original music that covers everything from Dixieland to the avant-garde. 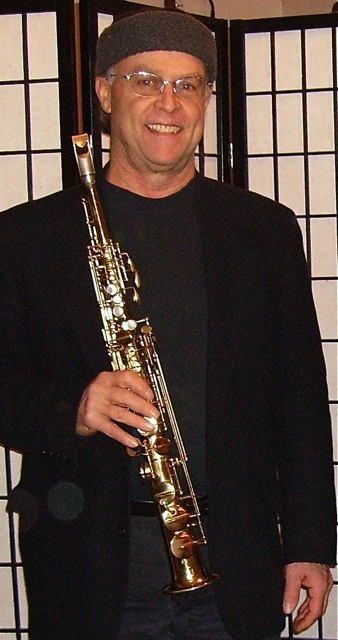 -Jack Braet is a graduate of North Texas State, and brings an inspired hipness to his clarinet, saxophones and flute playing that delighted audiences at Ledford House for many years. 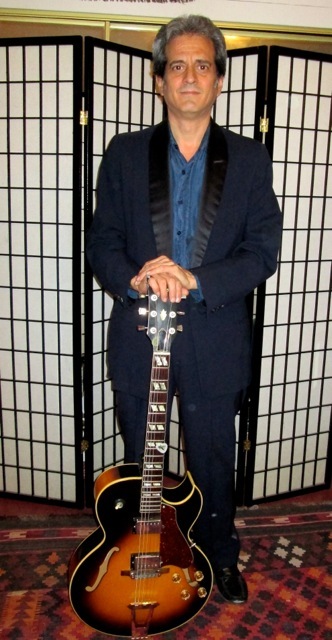 Jack has also played with many local musicians such as Bob Ayres, Ira Rosenberg, Terry Simcic, was also a featured member of the Big Easy Jazz Band and is a vital part of the Krewe of Sound. Currently Braet and Brown Duo play the third Friday night each month at the MacCallum House Restaurant. click on "news" for more details.